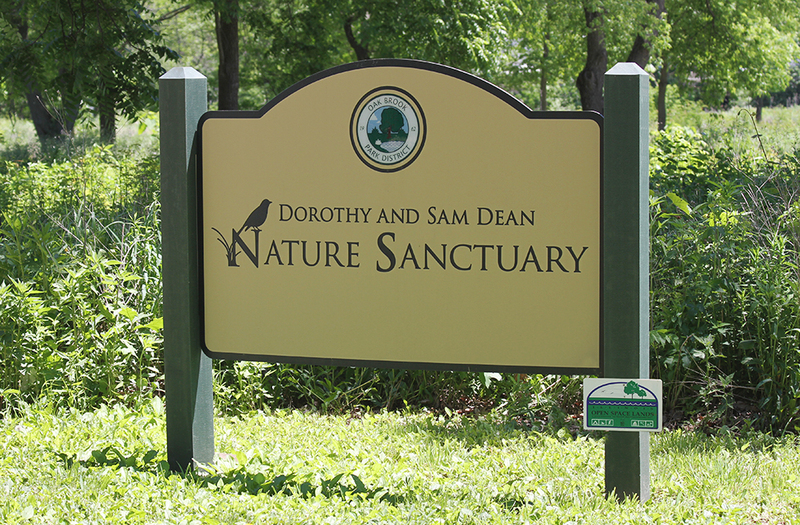 Home to a gateway between the DuPage and Cook County bike trail, Bemis Woods, the Dean Nature Sanctuary provides the perfect spot to plan your roundtrip biking excursion. Bicyclists should yield to walkers. To avoid conflicts with other users, pass to the left, announcing, "Passing on your left" before you overtake slower moving traffic. Please avoid stopping and blocking the path. Step off to the side if you wish to talk or stop for any other reason. Please dispose of all trash properly. This is your trail. Keep it clean. Poison ivy and poison oak are common along many Illinois trails. Avoid contact with plants unless you’re certain of their species. View a map & list of all DuPage County Trails here.